A lovely Moonrise today, with an apparently HUGE orange Moon lifting off the ground. Nice to see in real-time the effects of Earth’s atmosphere on the shape of the Moon. 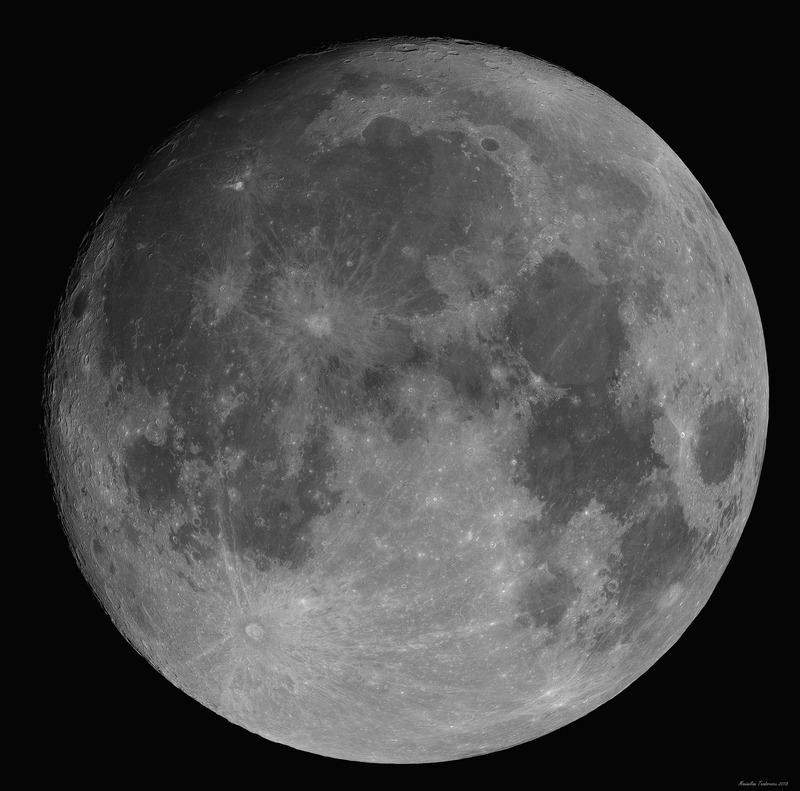 Equipment: Newton 200mm, F/5, ASI 1600MM with no filter in Binning 2×2. 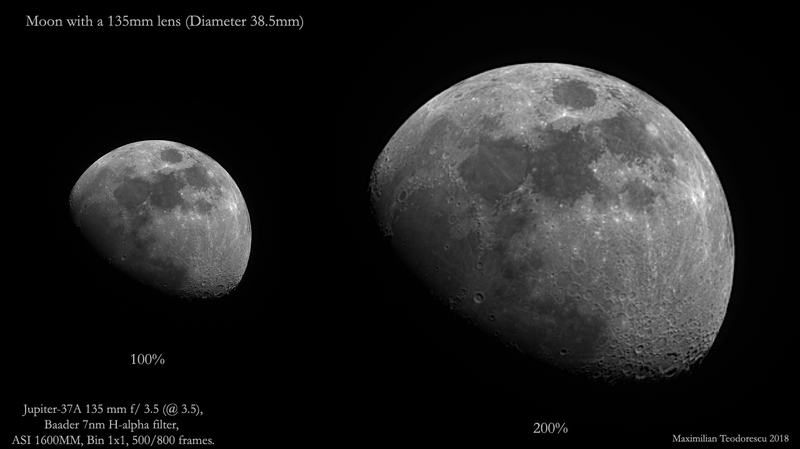 Equipment: 200mm Newton, ASI 174MM, Red filter. 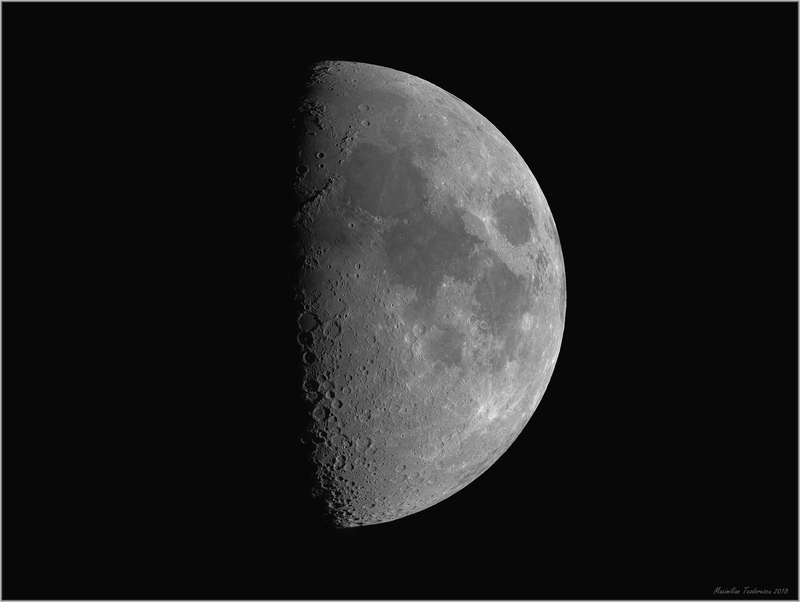 Mosaic of 15 frames, resized to about 70% from original. I did eventually manage to image the planet Saturn next to the two well known nebulae, TH Lagoon and Trifid (Messier 8 and Messier 20). Equipment: Jupiter 37A 135 F/3.5 (@F/4) lens, Bader 7nm H-alpha filter, ASI 1600MM, Bin 2×2, 15x120sec, Gain 150, Gamma 60, Sensor temp (without cooling): +18 Celsius. 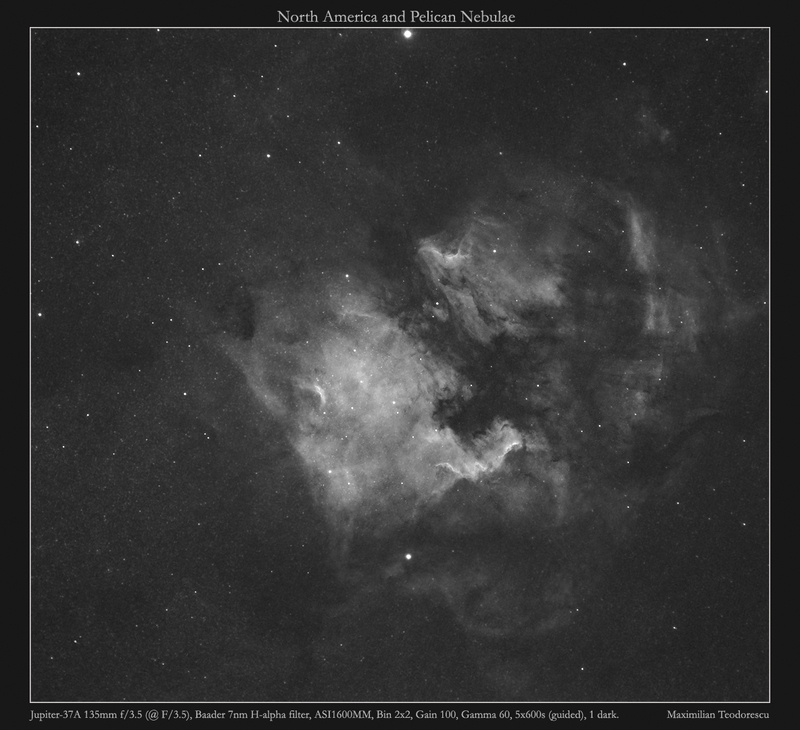 Guiding via PHD2 and a 50mm lens with ASI174MM. 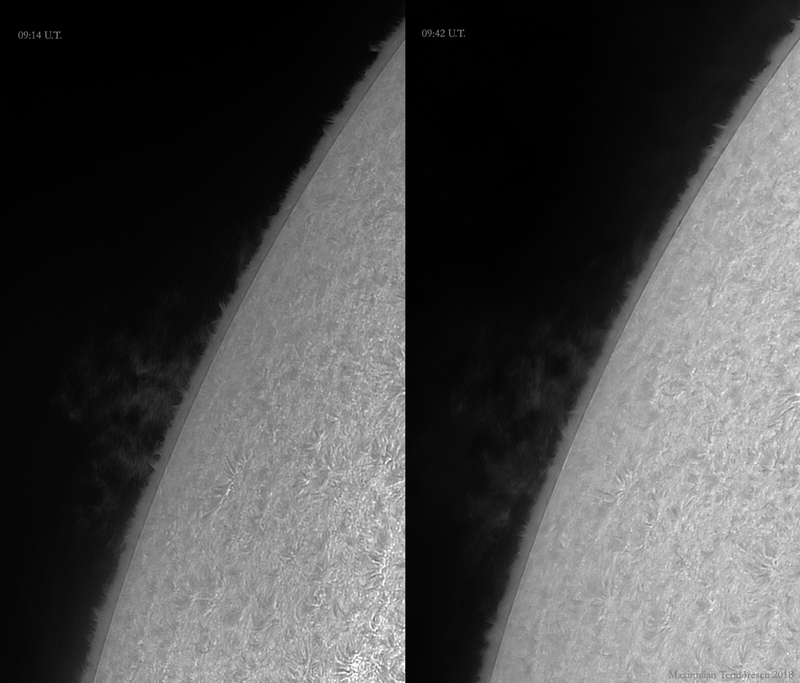 I’ve spent almost one hour today imaging the Sun with the 150mm achromat and Quark H-alpha filter. 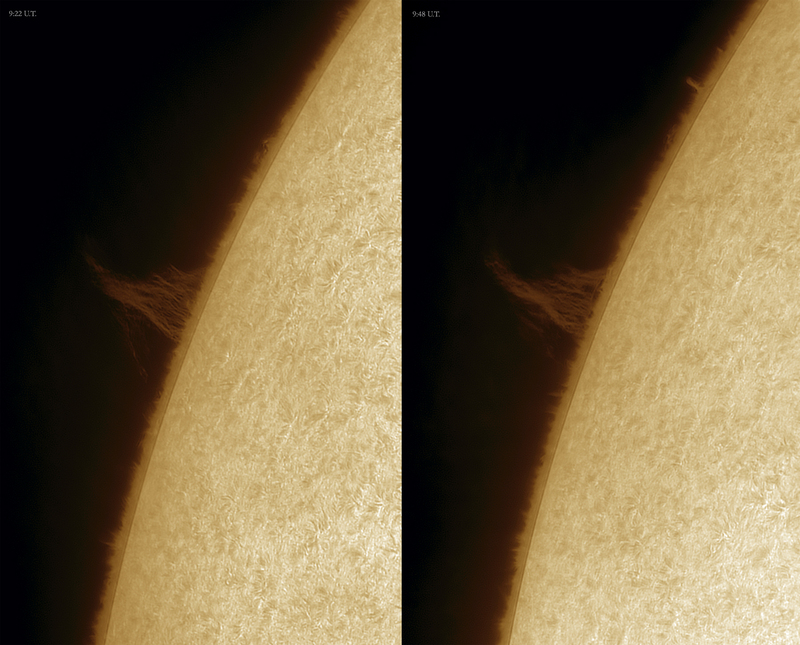 Some decent seeing at times, and a few nice proms on the Sun’s limb. Not much activity in the chromosphere, with no active regions. 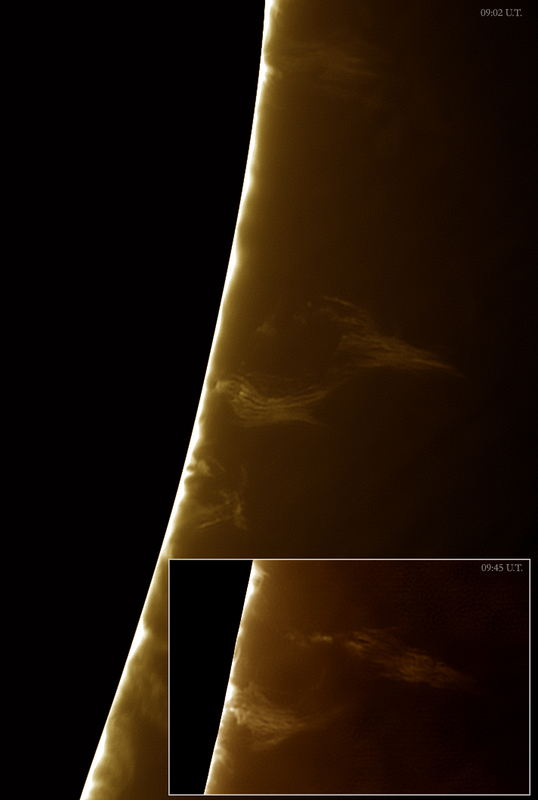 A one-hour animation showing the evolution of the largest prominence visible on September 20. Nice dance from this prom, with some plasma strings traveling in the “canopy” of the prom, and some “thunder” like appearance of the “legs” of the proms. Only 14 frames were obtained, and the transition in some moments has gaps, but the general dance is well seen. 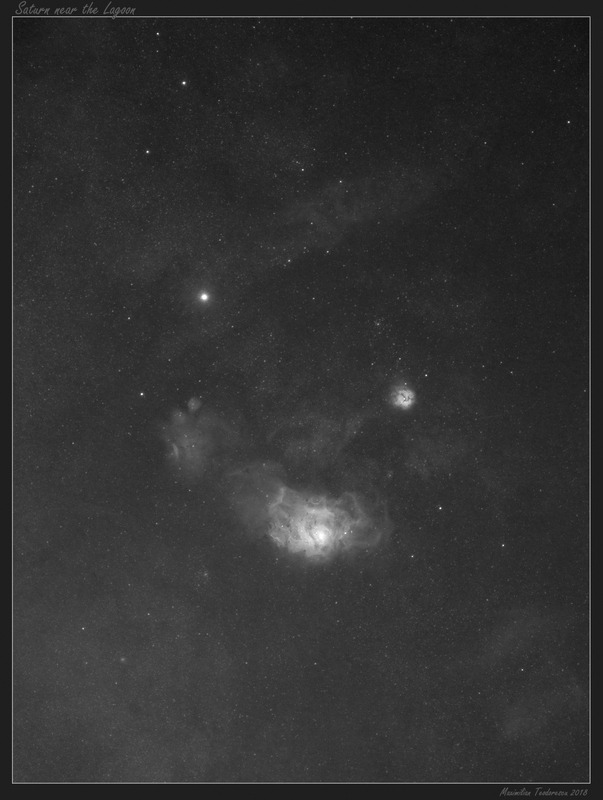 Now, for the test: the main reason for choosing this lens for this session was to have a wider field of view on some deep-sky objects in H-alpha light. The nominal 135mm focal length is perfect for the job, when combined with the small pixels of the ASI 1600MM camera. But to focus the system, I’ve first pointed at the Moon. 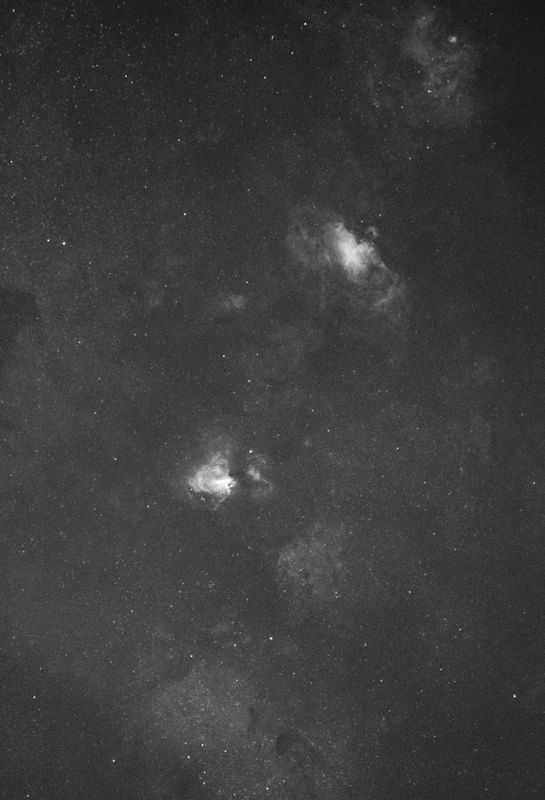 The result is spectacular I might say, with lots of identifiable craters detectable in the image. Very sharp image, and this with the lens wide-open at F/3.5! 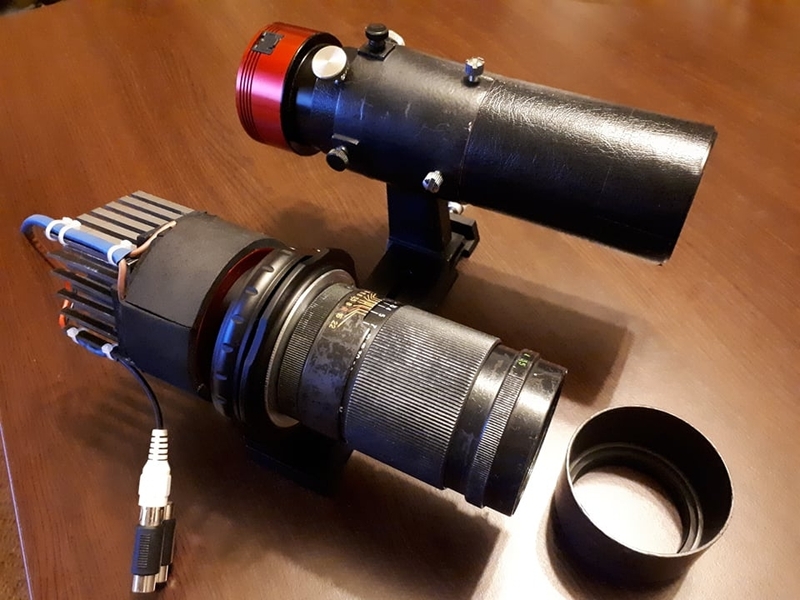 Indeed, it was done through the H-alpha filter, so not much optical aberrations would have been detected, but this also means that the lens is very well corrected in the red part of the spectrum. And this is from a lens of just 38.5 mm in diameter! 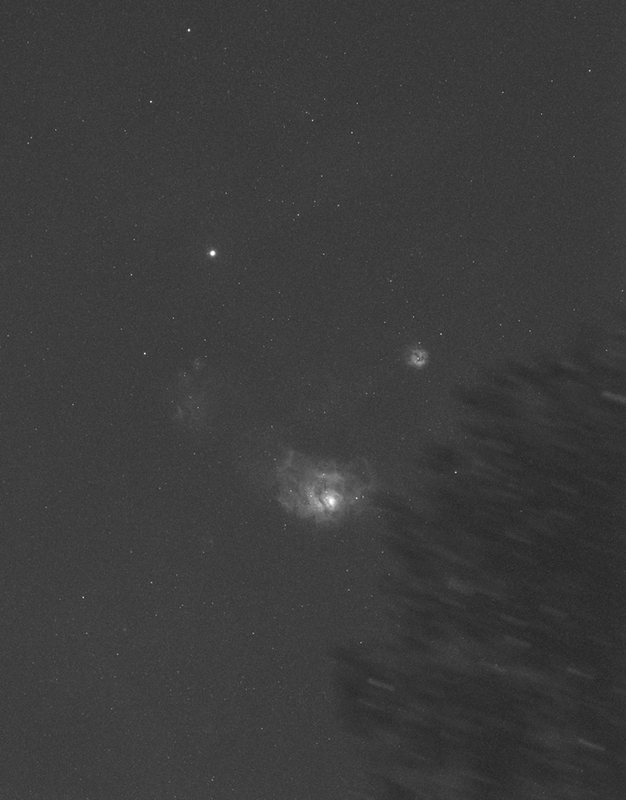 A short night time test of my new/old achromat refractor. It looks like this scope is OK in the green part of the spectrum (as any good achromat should be). Following is a shot of the Moon, using the ASI1600MM with a green filter, placed directly in the focal plane of the scope. 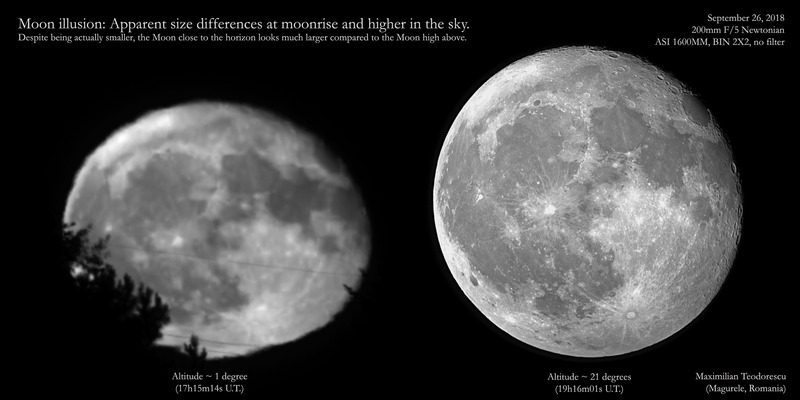 The Moon was rather low, at 20 degrees above the horizon, and the seeing was around 4-5/10. 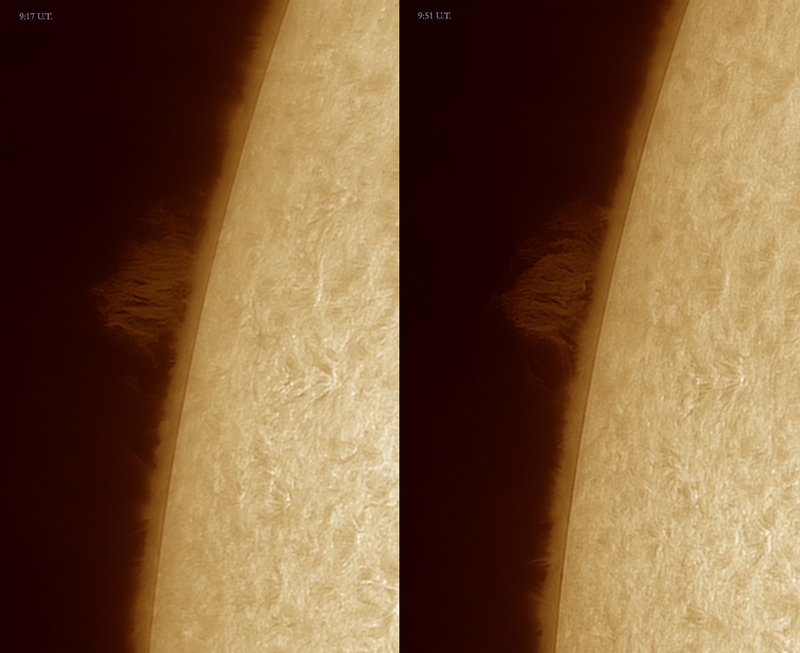 A very nice imaging session with the Sun today, using the newly acquired 150mm achromat refractor. 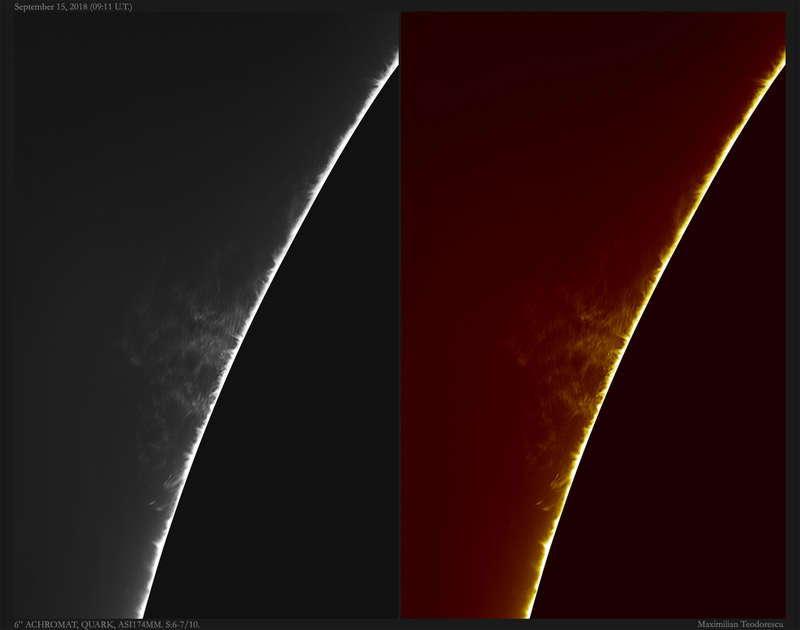 The seeing was mostly good, and some very nice prominences were observable on the limb. 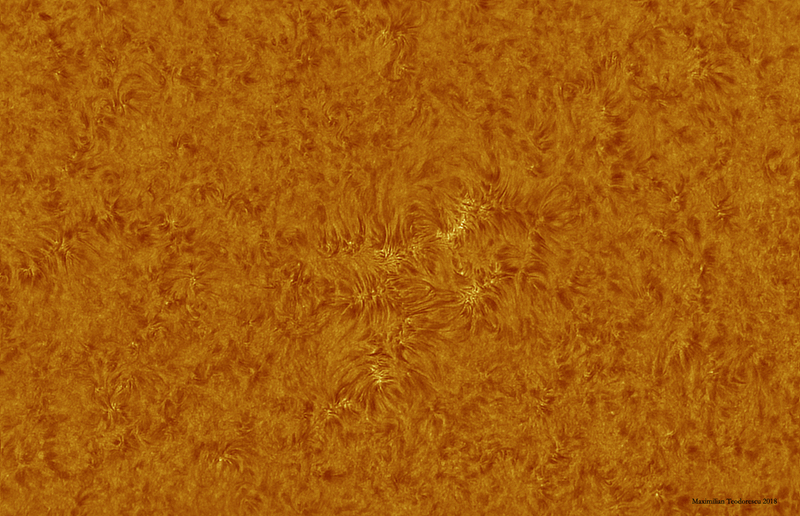 Also a small active region was present.